Blush 'Impassioned' : This new launch (and permanent addition) to the NARS line has been on heavy rotation for me this past week. It is a muted, rosy pink with a neutral (but slightly on the warm side) undertone - aka right up my alley. The nice thing about Impassioned is that it carries a bit more of a pop of pink than most of my other muted rose toned blushes, making it perfect for spring. This blush is a bit more sheer compared to other NARS blushes, but I think it works beautifully for this color. It means that you can really build the color up or use it as a sheer wash on days where you want just a swipe of color. Per standard it is finely milled, but not cakey or powdery at all. Eyeshadow Duo 'Hammamet' : Can I get a huge YES for this one. This duo is all kinds of magic. The left side is a gorgeous neutral matte beige with peachy/brown undertones. It is a gorgeous crease/transition shade for me and I have been reaching for it tons. The right side is a bronzy rose shade that has a slightly metallic/shimmery finish - no major glitter just the right amount of shimmer. I love using this with Fix+ to bring out the metallic side of the shadow. Hammamet is limited edition, so if this sounds like something you would love - scoop it up fast! 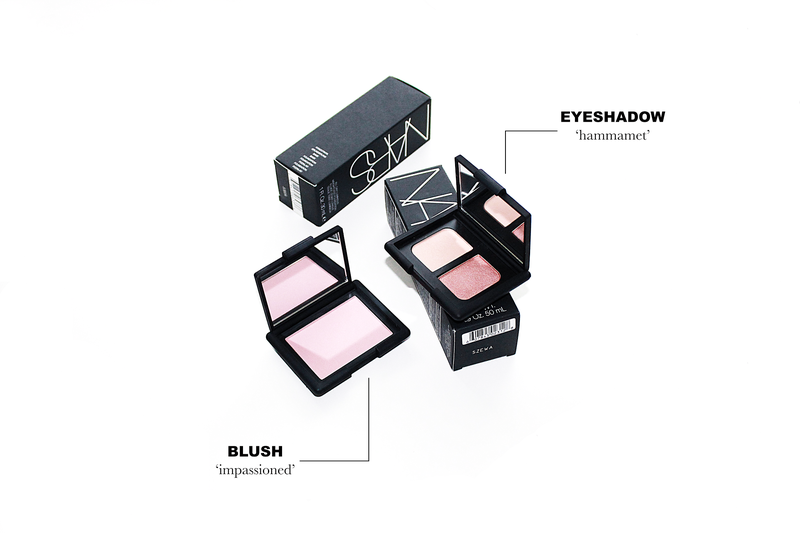 Have you purchased any of the NARS Spring collection? If so, which pieces are your favorite? Also, be sure to let me know your favorite product for Spring in general down below! I'm still on the hunt to revamp my collection for warmer weather. *All product in this post c/o NARS. All opinions are my own.